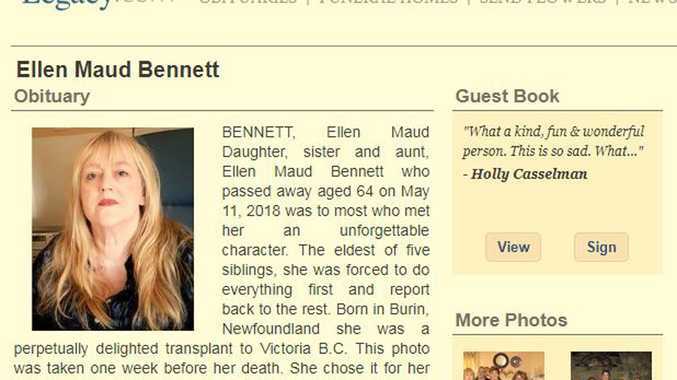 Ellen Maud Bennett's obituary has been shared on social media thousands of times since her death in May. FOR years, Ellen Maud Bennett pleaded with doctors to find the cause of her health concerns. But during each appointment, the Canadian woman was simply told to lose weight. By the time she was finally diagnosed with cancer, it was too late. The 64-year-old was told she had inoperable cancer and that she had just days to live. Ms Bennett died in May this year, but last month, Ms Bennett was able to hit back at the doctors who "fat-shamed" her from beyond the grave thanks to a powerful obituary. In the obituary, which was published in the Times Colonist newspaper recently, Ms Bennett, from Victoria in British Columbia, slammed the medical profession for repeatedly failing her. "A final message Ellen wanted to share was about the fat-shaming she endured from the medical profession," the obituary states. "Over the past few years of feeling unwell she sought out medical intervention and no one offered any support or suggestions beyond weight loss. "Ellen's dying wish was that women of size make her death matter by advocating strongly for their health and not accepting that fat is the only relevant health issue." I went from slim to fat because doctors ignored my complaints. This went on for decades. Once I got fat, then I was told I just needed to exercise more and diet, even though I was literally blacking out on the exercise equipment. Four immune disorders and I'm trying not to die. The obituary has been shared widely online, with social media users sharing their own disappointing experiences with medical staff. Many comments left on her online tribute also acknowledged her fat-shaming struggle. "May we together start seeing each other as worthy, whatever our size, shape, colour or gender," one mourner wrote, while another added: "Appreciate Ellen speaking out on this issue, we all deserve the same medical care regardless of our size." Another woman described facing "neglect and hostility" from doctors as a result of her size as well. 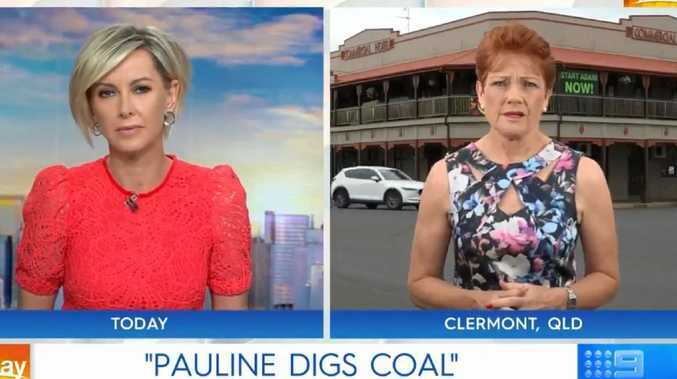 "The treatment she describes from her doctors fills me with anger. I, too, am fat, and have faced neglect and hostility from doctors that would be hard for me to believe, had I not experienced it myself. I find Ellen's dying wish very inspiring. I want to band together with other fat people to demand we be treated as human beings," the woman wrote. Ms Bennett's family also paid tribute to the "unforgettable character" who filled her last days with "humour, love, death bed edicts and exacting demands". The former vintage clothing store owner also studied costume design and was "all about style and art directed her own life splendidly", passionately enjoying "make-up, fashion and home decor".